FINAL UPDATE: One last listing before I take the stuff to my local record store and Half Price Books. Mini-LP CDs Greetings (2005 Japanese) THE WILD, THE INNOCENT & THE E STREET SHUFFLE (2005) Darkness (2010 -- from The Promise box) THE RIVER (2015 -- in individual sleeves, from THE TIES THAT BIND box) NEBRASKA (2005) BORN IN THE U.S.A. (2005) In the Wee Small Hours -- Sinatra (2002 Japanese mono version TOJC-9419 in thick, glossy sleeve) Pet Sounds -- Beach Boys (1998 Japanese mono version TOCP-50859 in thick, glossy sleeve) CDs 8/5/84 Jersey -- NUGS Archive Series My Hometown/This Hard Land (recorded 6/29/00 at MSG) -- Promotional single for LIVE in New York City 7/1/00 NYC -- NUGS Archive Series DVDs Blood Brothers The Complete Video Anthology/1978-2000 LIVE in New York City America: A Tribute to Heroes VH1 Storytellers In addition, I'll throw in nearly 50 discs of LIVE material (mostly audio), ranging from 1973-2007. PM me an offer (US residents only). UPDATED: Would love to move all of this as a single lot: Mini-LP CDs Greetings (2005 Japanese) THE WILD, THE INNOCENT & THE E STREET SHUFFLE (2005) Darkness (2010 -- from The Promise box) THE RIVER (2015 -- in individual sleeves, from THE TIES THAT BIND box) NEBRASKA (2005) BORN IN THE U.S.A. (2005) In the Wee Small Hours -- Sinatra (2002 Japanese mono version TOJC-9419 in thick, glossy sleeve) Pet Sounds -- Beach Boys (1998 Japanese mono version TOCP-50859 in thick, glossy sleeve) CDs 8/5/84 Jersey -- NUGS Archive Series My Hometown/This Hard Land (recorded 6/29/00 at MSG) -- Promotional single for LIVE in New York City 7/1/00 NYC -- NUGS Archive Series DVDs Blood Brothers The Complete Video Anthology/1978-2000 LIVE in New York City America: A Tribute to Heroes VH1 Storytellers 80s Compilation Reel: -- Old Grey Whistle Test (BORN IN THE U.S.A. Tour documentary) -- "Vigilante Man", "I Ain't Got No Home", and Bruce's comments (from Folkways: A Vision Shared) -- Inside the TUNNEL OF LOVE (MTV documentary) -- Amnesty International Human Rights Now! Tour (Bruce's performances from HBO special) -- Bruce Springsteen: A Secret History (1998 BBC documentary) In addition, I'll throw in nearly 40 CD-Rs (and a few DVDs) of LIVE audio, ranging from 1973-2007. I'm not looking to make a profit and I'll entertain any reasonable offer. I thought I would give anyone who still collects physical media a crack at this stuff before I take most of it to my local record store and Half Price Books. PM me for details (US residents only). 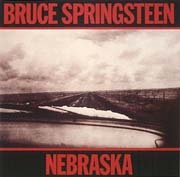 UPDATED: Mini-LP CDs Greetings (2005 Japanese) THE WILD, THE INNOCENT & THE E STREET SHUFFLE (2005) Darkness (2010 -- from The Promise box) THE RIVER (2015 -- from THE TIES THAT BIND box) NEBRASKA (2005) BORN IN THE U.S.A. (2005) In the Wee Small Hours -- Sinatra (2002 Japanese mono version TOJC-9419 in thick, glossy sleeve) Pet Sounds -- Beach Boys (1998 Japanese mono version TOCP-50859 in thick, glossy sleeve) CDs 8/5/84 Jersey -- NUGS Archive Series My Hometown/This Hard Land -- Promotional single for LIVE in New York City (recorded 6/29/00 at MSG) 7/1/00 NYC -- NUGS Archive Series DVDs The Complete Video Anthology/1978-2000 LIVE in New York City America: A Tribute to Heroes In addition, I'll throw in nearly 40 CD-Rs of LIVE audio, ranging from 1973-2007. PM me for details (US residents only). UPDATED: Mini-LP CDs Greetings (2005 Japanese) THE WILD, THE INNOCENT & THE E STREET SHUFFLE (2005) Darkness (2010 from The Promise box) NEBRASKA (2005) BORN IN THE U.S.A. (2005) In the Wee Small Hours -- Sinatra (2002 Japanese mono version TOJC-9419 in thick, glossy sleeve) Pet Sounds -- Beach Boys (Japanese mono version TOCP-50859 in thick, glossy sleeve; unsure of year) CDs 8/5/84 Jersey -- NUGS Archive Series HUMAN TOUCH LUCKY TOWN Greatest Hits LIVE in New York City My Hometown/This Hard Land -- Promotional single for LIVE in New York City (recorded 6/29/00 at MSG) 7/1/00 NYC -- NUGS Archive Series Wrecking Ball High Hopes DVDs The Complete Video Anthology/1978-2000 LIVE in New York City America: A Tribute to Heroes In addition, I'll throw in over 30 CD-Rs of LIVE audio, ranging from 1973-2007. PM me for details (US residents only). House cleaning time again -- duplicate copies after upgrades, etc. -- so I was wondering if anyone is interested in the following (AS A SINGLE LOT): Mini-LP CDs Greetings (2005 Japanese) WIESS (2005) Darkness (2010 from The Promise box) NEBRASKA (2005) BORN IN THE U.S.A. (2005) In the Wee Small Hours -- Sinatra (2002 Japanese mono version TOJC-9419 in thick, glossy sleeve) Pet Sounds -- Beach Boys (Japanese mono version TOCP-50859 in thick, glossy sleeve; unsure of year) CDs Vitalogy -- Pearl Jam ('94 release) LIVE in New York City LIVE at MSG, 7/1/00 -- NUGS Archive Series OK Computer -- Radiohead (includes the "Paranoid Android" CD single w/color cardboard PS, and also a CD-R copy of True Love Waits: Christopher O'Riley Plays Radiohead) In Rainbows -- Radiohead CD Singles My Hometown/This Hard Land promo-- Recorded 6/29/00 at MSG All I Want is You -- U2 (with "Unchained Melody" and "Everlasting Love") Rooty Toot Toot -- Mellencamp (with "Cold Sweat", "Never Too Old" and LIVE "Check It Out") Go -- Pearl Jam (with "Alone" and acoustic "Elderly Woman...") Not For You -- Pearl Jam (with LIVE, improvised "Out of My Mind" from Atlanta in '94) Even Better Than the Real Thing -- U2 (with "Salome", "Where Did It All Go Wrong" and "Lady with the Spinning Head") One -- U2 (with "Satellite of Love" and "Night and Day" remix) DVD LIVE in New York City In addition, I'll throw in over 30 CD-Rs of LIVE audio, ranging from 1973-2007. PM me for details (US residents only). February 19th and 20th, 2003 in Somerville, MA. Two performances to benefit now-defunct Doubletake Magazine. If anyone has a copy of this RSD release they're willing to part with I have several rare Bruce goodies for trade. PM me if interested. CDs MTV Plugged Blood Brothers -- 5 song EP **Plus several rare titles w/original artwork** DVD LIVE in London 2013: BORN IN THE U.S.A.-- Released in a limited run with HIGH HOPES Books Journey to Nowhere: The Saga of the New Underclass -- w/introduction by Bruce Glory Days -- Signed by Marsh, 1st edition hardback copy. I purchased this through Backstreets. You Better Not Touch: The Complete Guide to Bruce Springsteen on Bootleg CD -- All 3 volumes In addition to the above, I'm throwing in nearly 80 discs of audio and video (plus artwork for many of the shows). Items to be moved as a single lot. PM me for the complete list and we can go from there (U.S. residents only). Christic SHows now available...NUGS release! Can't listen at the moment. 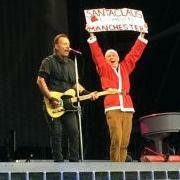 How does the sound compare to CC's 11/17 Christic Night? I have original, MINT copies of the following CDs: *Roses and Broken Hearts *USA-Blues PM me if interested.